So, that time of year has come. We’re almost at the end of HSF 2014, and are thinking about the new years sewing. People have been asking if there will be a HSF 2015. Running the HSF is a lot of work. There is the stuff on my page: writing the challenges, the page, answering questions. Writing inspiration posts. Organizing voting for the HSF Choice Challenge. Favourites posts (which I am ridiculously behind on). Just compiling the list of contributors takes hours and hours – and then half of the list turns out to be bloggers who do one project and then loose interest. And then there is the Facebook group: keeping spammers out, folders and events up, and information updated in the files. Plus the occasional squabble. 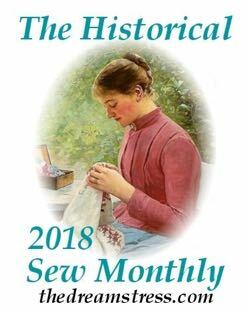 The only reason I’ve survived the FB page at all is the fantastic Sarah of A Most Peculiar Mademoiselle and equally fantastic Elizabeth of Sewing & Sightseeing, who have been co-moderating. All of these things mean I’m not writing posts I really want to write (like Terminology posts), and not sewing things I really want to sew (like 14th century, and a robe de cour). And not spending time with my husband and doing up our house. So I’m a little exhausted, and a little disillusioned. I can see why Mena just abandoned the Sew Weekly after three years. You burn out. And there are still challenges that I want to do. Do you want a HSF ’15? Are you committed to throwing yourself into another year of challenges and sewing? What did you like about HSF ’14 (or HSF ’13), and what would you like to be different in HSF ’15? How could the HSF be changed to make it easier and less time consuming for me? Thus far, I have participated in a handful of challenges – but the page and blogs have expanded my knowledge immensely. I have sewn more with a historical bend in the past year than in every other year put together. I would personally hate to see the HSF go away (selfishly because I know I will have more time next year) – but I love the idea of recycling challenges to make things easier. I’d love a HSF 15 although I agree with others in saying making the projects less frequent would be good once a month or even once a quarter. Also I don’t want to see the FB group go. I have NO access to re-enactment groups or other sources of ‘Real life’ historical costuming info locally. All I have is books and the internet. Most other historical forums I’ve joined have turned out to be virtually deserted. But the HSF FB page has really helped me improve and get the answers I need to complete projects. Yes! Many thanks on much much much effort! 1) THANK YOU. This group has been one of the most welcoming and beneficial I’ve seen, to both newbies and experiences sewists. 2) I like the idea of doing a monthly challenge–maybe the Fortnightly theme can be kept by encouraging midway-point blog posts and check-ins on Facebook. Less strenuous than a new challenge every two weeks for both participants and hosts! 3) Repeat old challenges. A new mix of old challenges will still feel fresh, and most of us haven’t been able to hit every one or had multiple ideas for the challenges we did hit up. With close to 50 options over the two years HSFN has been running, I don’t think it would feel stale at all to revive 12 for 2015 (and 2016…and on…!). 4) It does feel that most of the HSFN interaction happens via Facebook–while I love the inspiration posts and information posts about the challenges here on the blog, I do think you could a) repeat past ones, b) delegate (I love collecting pretty clothing images, sooo…feel free to ping me! ), or c) go easy and skip the level of detail we’re used to. All that to say–perhaps we’re at a point that less shepherding from the Command Center of The Dreamstress Blog is needed. I second repeating old challenges – I always have more ideas than I can finish for each! I never really thouht about all the work you put into the HSF. Thank you so, so much for it!! I would love to see the HSF continue! It is so awesome because it gives me the encouragement I need to get something sewn that I might not otherwise have. I agree that it might be good to have it be a once a month deal, that way if a person was going to be gone on the HSF due date, they would have plenty of time to plan ahead. The reason I have missed several challenges (my apologies!!) is because we were on vacation, and in the weeks before we were sewing like crazy in order to be able to bring a completely home-sewn wardrobe along. I am looking forward to getting back into the HSF, starting today! I truly enjoy it and now will appreciate it even more, realizing the effort that you put into it. I totally get it, while there is a lot of wonderful stuff that’s come of it it IS a lot of work. For me personally I’d love to see it continue, but with less of a time commitment. There are a lot of projects already on my slate and the reality is I just don’t have time to switch gears to make something that isn’t on my to-do list every two weeks. A once a month challenge is more my speed. Although I realize that kind of defeats the “fortnightly” part. Another idea might be to put all the challenges out there but let participants chose which they were doing when. And I think re-using challenge topics is fine, no need to reinvent the wheel every time! Whatever you decide, thanks for doing this, it’s been a fun ride! How much of the appeal of the challenges is literally sewing them, and how much is it enjoying being part of the community that has grown up surrounding the HSFs? It seems to me the community aspect is very important, and that seems to be centred mainly on FB. Monthly challenges, if you feel you could manage it, or even every two months, whatever, might keep the community and good bits while making it more do-able for you? I’ve never done a challenge, but seeing so many other bloggers do them has definitely inspired me, and spurred my interest in historic costuming (an area I’ve not really explored until this past year, even though I’m an historian by training). I’m just getting into costuming, and exploring how to translate my ideas into something wearable for every day even, and have gotten lots of ideas and gained much knowledge from other participants. I do understand the tremendous amount of work that goes into HSF, and understand your burning out on it. That said, if you do go forward with it, I’d love to participate, but on a very toe-in the-water type commitment. My problem is primarily one of time. I don’t have unlimited sewing time (four children under 7, ye ken), and the time that I do have is often punctuated, so I can’t always count on being able to get to a specific project when I want to. I’m also starting to do more hand sewing, which just takes longer even though I can stand more interruption while doing it. Personally, I’d like to see fewer challenges on a longer deadline so that I’d have the option to participate. I also think reusing challenges is fine, as others have said. In any case, I’m hoping to get something made for the final one, as it is something I already have planned! Fabric is washed, just waiting to cut/sew. I was just going to suggest a quarterly or even a bi-monthly challenge myself. I haven’t been able to participate (I was caring for my mom who recently passed), and I’m very interested to getting back to all the beautiful things. So I can understand how you feel. But I would love to participate if you do – even if you just repeat some of the old challenges! I hope you do it again next year, because I was planning on doing it for the first time in 2015. I keep seeing everyone’s posts about it and have wanted to do it for a while, but just never thought I COULD do it. I decided to finally give it a go next year, providing it does happen. First of all, a big thank you for all of the time and effort you have put into this. I find that I only have time for a handful of challenges each year, I’m not sure how you manage to do what you do! If you feel burnt out, we will all understand 🙂 whatever decision you make. Second, I’m not a fan of the Facebook format, maybe just providing a list of challenges and the participating bloggers is enough? And then maybe a second moderator to make a list of links to posts for each challenge? I would be more than happy with breaking it down to 4 or 5 challenges, one per season plus a bonus since most of my projects are too time-consuming and expensive to make in just two weeks. I know a most of us have the goal of doing one or two eras and making a full outfit for that era, so another way to break it down could be to focus each challenge on a different aspect of an outfit so we end up with a complete look by the end of a year (for example: undergarment, skirt, bodice, hat, accessory, jewelry, outerwear, etc.) . That way no one is stuck trying to shoehorn something yellow or plaid into their wardrobe plans. What if you had a different historical seamstress host a fort nightly? You could pick the themes and then take “applications” and then assign a project hostess for each different challenge. They could write the terminology/historical background post and create a curated selection of “best of” projects. They could write posts for your blog and maybe cross post to their own (a sort of guest blogger scenario). All you’d really have to do is make sure things are posted when they need to be (a schedule should suffice) and then sit back. I seriously love this blog and I would be super sad to see the HSF die out. That said, I absolutely understand getting burnt out and I hope that you decide based on what you feel is best for yourself, not just what we want. As far as my own thoughts go: My main reason for having not joined properly is because I have too much to do outside of sewing (work, uni, family, etc.) to commit to a fortnightly, or even a monthly thing. If the challenges were less frequent – say bi-monthly? – I would feel more like it was doable, and it might possibly be easier for you to do as well. I participated in one of the first few challenges, but lost interest due to time constraints in my personal life, and an increasingly smaller financial budget. That’s been my biggest setback and question for those who do participate – how they afford patterns at 20$/ea, authentic fabrics (linen, wool, satin do not run 9$/yd). If you’re burnt out and disillusioned, you don’t have to do it in 2015 or even ever again. You could create it differently to have it once a month instead of every 2 weeks, or even longer periods between to slow down the pace to something less frantic. HSF should be fun, when it’s not fun, it needs to change. Not sure if anyone has mentioned this, but delegate! Maybe do once a month, and have the other one per month guest hosted elsewhere! You’ll link to it, they’ll help pick the challenge they want to host, and do some inspirational posts. Also, you ARE allowed to skip a challenge or two to work on your own projects! Common sense says that if a volunteer “fun” activity ceases to be so, that’s the time to walk. If you wind up not doing another, I wouldn’t be surprised. This is coming from someone who hasn’t participated at all — merely observed happily and appreciatively. So, be happy and healthy! How wonderful to have a big response. Personally, I’ve been to busy to even cheerlead–how sad is that? What makes your blog special is the joy that you bring to everything. So you do YOU. Sounds like you have a lovely community that will go along with whatever YOU decide! I have participated this year for the firs time and by far not done all challenges. Not even all those I wanted to do. But I loved it. 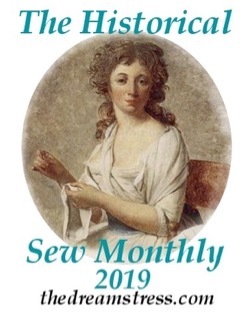 In my real life, I don’t know a single person interested in historical sewing and it made me feel less “weird”, less alone in the world, not to talk about the motivation. But a challenge per month would be enough! And the inspirational posts could easily be done in a turning mode. This group has been a huge inspiration and support for not just my sewing. 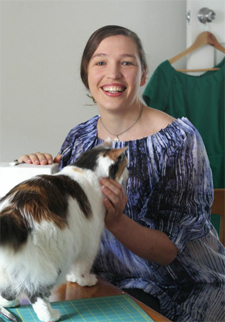 Whenever I felt bad I went to the HSF page to browse all the awesomeness or sew something inspired by the challenges set by you, Leimomi. I must admit, that although I was very eager to finish every challenge back in January, I started skipping some in late spring, because time just wasn´t in my favour. Please do what your heart tells you to do! I would be up for another year, but I wouldn´t mind doing less challenges. I’m not sure if I would participate much. I’ve done very few challenges this year, compared to all the ones I did last year. It does look exhausting and I don’t see why you shouldn’t take a break from it. Maybe wait and do a HSF 2016 instead? The monthly challenges idea sounds good too. I don’t have strong feelings either way, and in any case it’s not anyone’s decision but yours. 2) You don’t have be quite as complex with each of the challenge posts. Simply giving a brief overview and then linking to a pinterest board might work as well. 3) Bi-weekly is fine. I’ve just been working a lot of crazy hours and short calls so I haven’t been able to do them all. 4) The delegation idea – I second this. 5) Rather than listing all the participants, why not just have people post to either the message board (see #1) or the blog post instead? Not everyone is going to participate in every challenge so this way, it would be easier to see the projects that did get done (and less work for you). I’ve never participated, as soon as there is a deadline on something my creativity and bother just dry up! If it no longer makes you happy, then don’t do it. The people of the inter- webs will get over it or someone who has the time will pick it up. Life is way too short to dedicate the amount of time you give to something you don’t love doing. I hope you can find a way to continue for 2015. My biggest advice would be to delegate, ask somebody else to host it next year with coming up with posts and keeping track of the challenges. Maybe it would be possible to start a separate blog for the HSF, so that more people could have posting rights for it? The HSF is the sole reason why I have finished this many garments this year, and I’ve even thought it’s been fun to do petticoats and go back and repair or add details to my costumes. I also think the biweekly format has been great. I haven’t participated in all challenges but when I’ve made them it has allowed me to keep on track, most of my separate challenges have combined into some bigger project. The biweekly format also helps with not making me feel as if every project needs to be big, but instead I’ve added small things that I might have skipped otherwise in my historical wardrobe. HSF ’14 was my very first, and I liked it. I enjoyed the motivation that came from having a deadline, as well as the challenges that made me push my boundaries. That said, I also found myself doing a lot of quick, cheap, and easy projects just to meet the challenge, because I hadn’t really the time to plot out bigger projects within the major project I was already working on. Someone else suggested maybe every other month or quarterly challenges, and I think that would be easier to plan around. More time between challenges to do bigger projects, and fewer challenges for you to coordinate. Personally, I don’t use the FB page, so I won’t voice an opinion on it. Please continue any aspects of your online presence that make you happy, and only those parts. I applaud everything you’ve done so far. Although you work in this field, the HSF and any public posts you write are volunteer. You don’t owe us anything. I did sew some items inspired by challenges but not on the official schedule and I didn’t submit. I’m likely to continue using your blog posts as inspiration for research or sewing and can continue to reread older entries even if you discontinue new ones. Thank you. I love inspiration posts above all – please do post them. You or hosts, it is good idea to ask someone to be guest. On the other hand, having list of blogs… I never look in it, may be it could be more usefull to post short article about each challenge and let people to leave links to their articles in comments. I thing one challenge for two weeks is good, for one month is also good (advantage – more time to compleat, disadvantage – more time to prokrastinate) but two months or even three will not work for me. I know myself. I wish HSF brinks you more joy then exhaustion. I’ve never done any of them, but I’ve sure loved reading your inspiration posts! I’ll be reading over them again whether or not you do any more, thanks!!!!!!!!! But checking in every couple weeks would be fun. and the community is wonderful. And there are still a lot of old challenges I have many ideas for! So yeah, please keep it up, but don’t burn yourself out, and it’s okay if it changes form a bit! I’ve only finished 2 challenges but started all of them. Mostly, I comment or ask questions but with every ones help my projects are getting done slowly, my stitches are more accurate and my confidence is growing. I want to thank all of you for a wonderful year of learning and hope we meet again next year. I love your blog because I learn so much. I also love the HSF, for the same reason, but monthly deadlines were too much for me to handle. How about every other month for a total of six projects a year? And perhaps one of those could be an “open” project of the individual’s choice? Most importantly, I understand the burnout so take care of yourself and do what needs to be done. Thanks for all of your hard work! Thank you so much for helping all this come about! I have never actually participated, but was planning on either doing it this year or just doing last year’s challenges, just to challenge myself. It seems to me that you could almost just transfer this whole thing to the Facebook page. 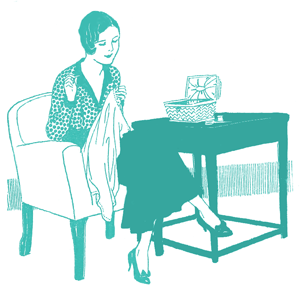 And the challenges could be suggested by other sewing participants, whether new or old. I always loved the idea of the challenges because it always made me think outside my normal time period in history. I’ve only done a few challenges myself (I always have good intentions but life gets in the way so easily). But I really love seeing what everyone else is doing! I think the monthly challenge idea would be a good way to go as well. Personally, I would do half of them basic challenges that anyone with a historical wardrobe would have something to make for (like the undergarment and shape and support challenges) and half as color / inspiration challenges. You could also reach out to others to help write the inspiration posts to cut down on your work. Just one comment, in response to someone else. Please do not delete the FB portion. While some people don’t use FB, others of us do. Likewise, some of us do not use message boards. I find them difficult to fit into a hectic routine. I’ve watch the challenge for a year now, and with a major change in my employment situation, I will be participating this year. The monthly challenge will be much more manageable than the fortnightly, though that looked like so much fun. Thank you for whatever you decide to do with this for 2015 and beyond.